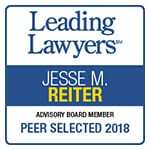 Jesse Reiter, Michigan birth injury attorney serving clients throughout the U.S.
Jesse Reiter is the owner, founder, and managing partner of ABC Law Centers (Reiter & Walsh, P.C.). He has been practicing law since 1987, and is recognized as a leader in the field of birth trauma litigation. Reiter has won multi-million dollar settlements and verdicts for children with birth injuries such as hypoxic-ischemic encephalopathy (HIE) and cerebral palsy (CP). Passion for justice, meticulous attention to detail, and exhaustive preparation are the keys to his success. Helping children and their families brings him the greatest satisfaction. Reiter began his legal career with a major law firm in Detroit. After years of honing his medical malpractice expertise, he formed ABC Law Centers in 1997. The firm has grown considerably since that time, and now fights for birth injured children throughout the country. At ABC Law Centers, Reiter has built a reputation around his extensive knowledge in both law and medicine. His in-depth understanding of complications during pregnancy, delivery, and the neonatal period, as well as of the standard of care medical professionals are obligated to provide, makes him a strong advocate for clients. 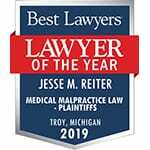 Reiter has served a variety of important leadership positions in legal groups, such as president of the Michigan Association for Justice (MAJ) and chair of the Birth Trauma Litigation Group (BTLG). He has also won numerous awards for his representation of children who need constant care. His clients continually receive compassion, empathy, knowledge, and experience throughout their difficult cases. Moreover, Reiter cares greatly about giving back to his community. He recently established the Reiter HIE Research Fund, which supports University of Michigan researchers focused on finding new treatments for hypoxic-ischemic encephalopathy (HIE). This is a serious birth injury caused by a oxygen deprivation; it can lead to a variety of permanent conditions such as cerebral palsy and intellectual disability. Reiter also runs the ABC Law Centers Cerebral Palsy Scholarship and the HIE Help Center Scholarship. For more information about his community involvement and charitable contributions, please click here. February 2019: Co-Author, “The Impact of Therapeutic Hypothermia on Newborns with Hypoxic-Ischemic Encephalopathy,” Birth Trauma Litigation Group (BTLG) Newsletter. May 2018: Co-Author, “Understanding Fetal Monitoring Evidence,” American Association for Justice Trial Magazine. January 2018: Co-Author, “Timing Hypoxic-Ischemic Fetal Brain Injury,” Michigan Bar Journal. Fall 2017: Author, “HR 1215: Stripping Rights From Our Most Vulnerable Michigan Medical Malpractice Clients,” Michigan Association for Justice Journal. July 2017: Co-Author “Using MRI to Evaluate Hypoxic-Ischemic Encephalopathy (HIE) in Term Infants,” Birth Trauma Litigation Group (BTLG) Newsletter. February 2017: Co-Author “Management of Category II Fetal Heart Tracings: Timing Delivery to Avoid HIE,” Birth Trauma Litigation Group (BTLG) Newsletter. July 2016: Co-Author “Averting Pre-Term Birth: The Right Care Gives the Best Results,” Birth Trauma Litigation Group (BTLG) Newsletter. Feb. 2016: Co-Author “ACOG Replaced the Friedman Curve with Unproven Guidelines: Is Lowering the Caesarean Rate Worth the Rise in Birth Trauma?,” Birth Trauma Litigation Group (BTLG) Newsletter. July 2015: Co-Author “HIE and the Myth of Pre-Existing Injury,” Birth Trauma Litigation Group (BTLG) Newsletter. Feb. 2014: Co-Author, “The Hidden Dangers of Overventilation,” Birth Trauma Litigation Group (BTLG) Newsletter. July 2014: Co-Author “How ACOG Broadened the Definition of HIE: A Comparison of the NEACP and NEANO,” Birth Trauma Litigation Group (BTLG) Newsletter. Feb. 2012: Co-Author, “Forcep Deliveries: Are They Worth The Risk?” Birth Trauma Litigation Group (BTLG) Newsletter. 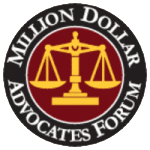 April 18, 2019: Presenter – Michigan Lawyers Weekly Presents: Leaders in the Law 2019. May 22, 2005: Speaker, MAJ Evening Forum: “Daubert/Frye: Using Science to Prove Your Claim.” – Topic: Birth Trauma and Daubert/Frye. Here is our rating from client reviews on Google, Yelp, and Avvo. Please see our Client Testimonial page for a complete list of reviews.